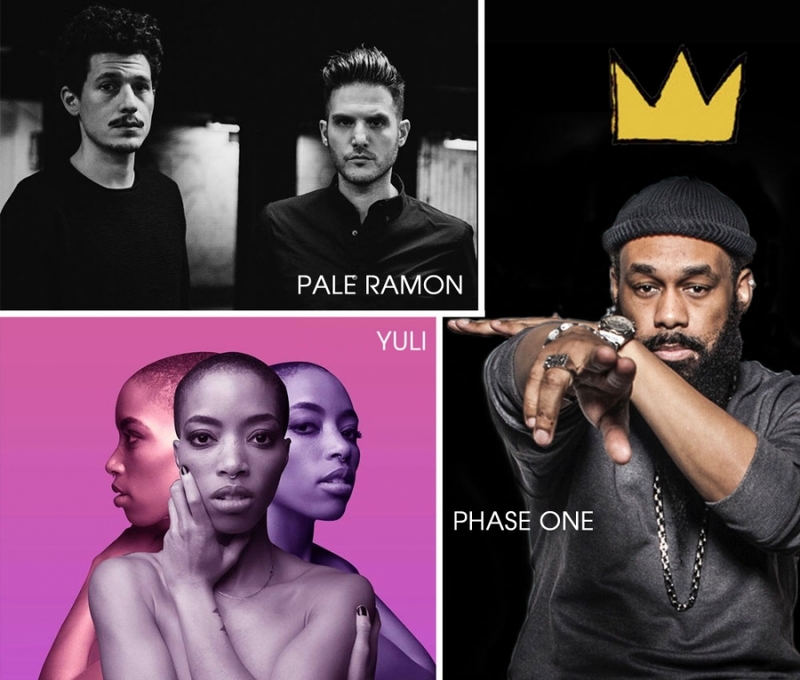 The monthly appointment with The Revolution, the series organized by National Sawdust and featuring emerging local talent, is back this coming Saturday (February 23) with Volume #36. Three artists coming from varied musical backgrounds will grace the venue's stage: Pale Ramon is a brand new duo featuring Emanuel Ayvas of Emanuel and the Fear and Kevin Plessner of Oceanographer / Monuments, artists we covered extensively in this very blog. Their music walks the line between the intense songwriting of Jeff Buckley and the edgy arrangements of post-rock luminaires Tortoise. Blending Hip Hop with melodic elements, a variety vocal samples and even jazzy bass lines, the latest single by rapper Phase One (entitled Citii Boy) shows a musician interested in taking the genre in new places, with results that sounds effortless and well produced. Yuli might only have one track available online (Her, streaming below), but it's a song that may cast a spell on you. Soulful and experimental, this single strikes a perfect balance between intensity, melody and sonic exploration, taking us back to the day trip-hop ruled the world. Listen to these three artists in the files streaming (the YouTube video has two tracks) and don't miss their live performance at Revolution #36 - tickets are here.